After losing the Moon race, the Soviet Union turned its attention to creating a series of manned space stations, starting with Salyut and its military version called Almaz (1971-91), their successor Mir (1986-2001) and from 2000, parts of the International Space Station (ISS). 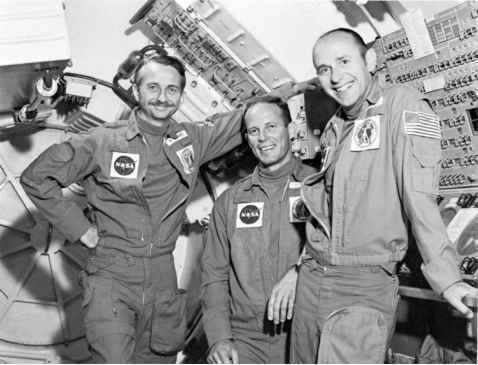 The Americans used leftover Apollo hardware to support the Skylab space station (1973-9) and its three visiting crews, each of which featured a scientist-astronaut. Though other Skylab stations and even larger orbiting space laboratories were planned, nothing came to fruition until the first elements of the ISS were transported into orbit and assembled in the 1990s. Meanwhile the Space Shuttle has only provided support for short-term space research missions, including the Spacelab series. A number of NASA astronauts also flew to Mir for long duration missions (1995-8) and since 2000, American astronauts and Russian cosmonauts have flown to the ISS as long-duration resident crew members. However very few of these spacefarers can be classified as true "scientists". The story of professional scientists flying in space in either the American or Russian programmes has been one of trial and frustration, success and achievement. More than fifty years on, the early dreams of teams of scientists working on research bases in space, the Moon or at Mars, as envisaged by von Braun in 1952, have yet to be fully realised.